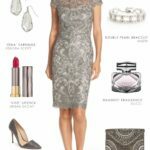 You are here: Home / Wedding Attire / Fascinators for Weddings and Parties! Fascinators for Weddings and Parties! Maybe you’re going to a wedding where a fascinator is in order, or you just want to wear one for a Royal Wedding watch party. Or perhaps you need a fascinator for a Kentucky Derby party or any festive horse race events! In any of these cases, we’ve got you covered! 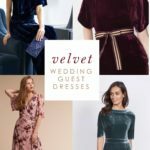 Below, we’ve picked some great hats and fascinators for weddings and parties, along with details on where to wear them! Dress for the Wedding is a U.S.-based blog, but if there’s one European wedding accessory I wish we saw more of here, it would be fascinators! Several years ago, I had a roommate who was from Ireland originally, and when she showed me what she was wearing to a wedding back home, and it included a beautiful fascinator! It really finished off the outfit. 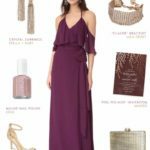 She said at the time that she feels like it’s not a complete wedding guest outfit without one! Now, here in the U.S. wearing a fascinator would probably garner more attention at a wedding than it’s worth. And in wearing one, you may break more good style manners than would be prudent. Still, I certainly cansee how it finishes a look, and adds a little bit of elegance. I am not sure if wearing a fascinator is practically required for all UK or European weddings, but I would love to know! 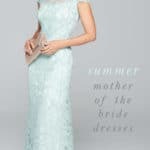 Follow Dress for the Wedding on Instagram and leave a comment to let me know the scoop! Hats and Fascinators for Weddings, Parties, and Horse Races! 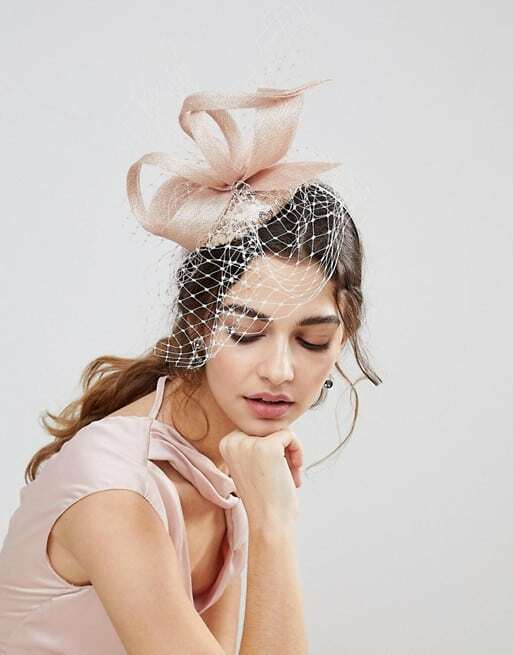 The good news is that fascinators are entirely acceptable and encouraged for Royal Wedding parties, tea parties or brunches, and the Kentucky Derby, and other horse racing events here! In fact, the fascinator to me is like a baby step toward wearing the grand hats, if you aren’t quite ready to sport one of those. Here are my picks for fascinators, and I have thrown in some hats for good measure! If you are still searching for a fascinator to wear, I found a few good sources! Amazon. Amazon has everything so why wouldn’t they have fascinators? 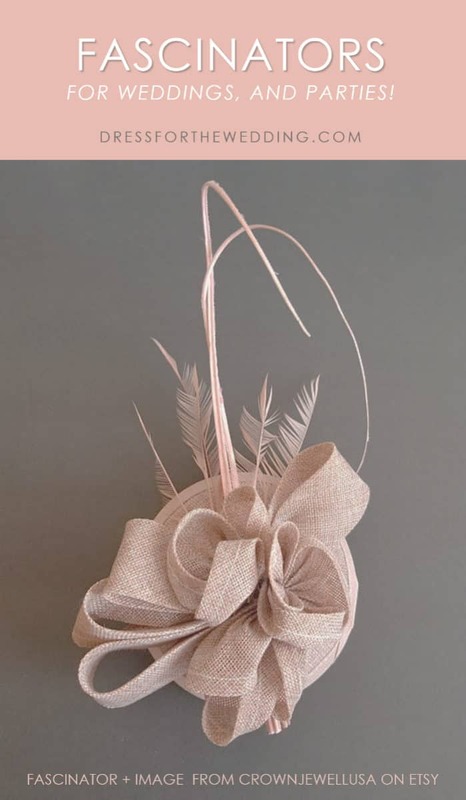 Most of the fascinators they have come in a range of colors and are very affordable $8 to $20), so if you’re looking to wear one without a big investment, or have a few on hand for guests as a party prop, they’ll do perfectly! ASOS: As an UK based retailer, ASOS gets the fascinator thing, they had some beauties! Vineyard Vines. They know how to do Kentucky Derby Style! They have a whole fantastic section for Kentucky Derby Attire, which includes a few fascinators! If you’re looking for other headpieces and hair accessories for weddings, take a look at the recent post we did with flower crowns and floral hair pins for weddings. You may also like this wedding hair accessory post. 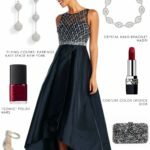 Need a dress for the party? 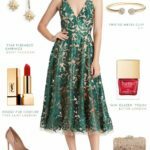 Check out our picks for floral party dresses, with lots of looks that would work for Royal Wedding parties and Derby parties! 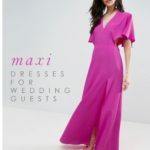 Also see our picks for May wedding guest dresses, and daytime wedding guest dresses. 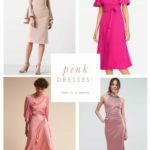 Both posts have lots of spring dresses perfect for the Derby! We’d love to see your look! Tag us on Instagram with #dressforthewedding to show off what you’re wearing!